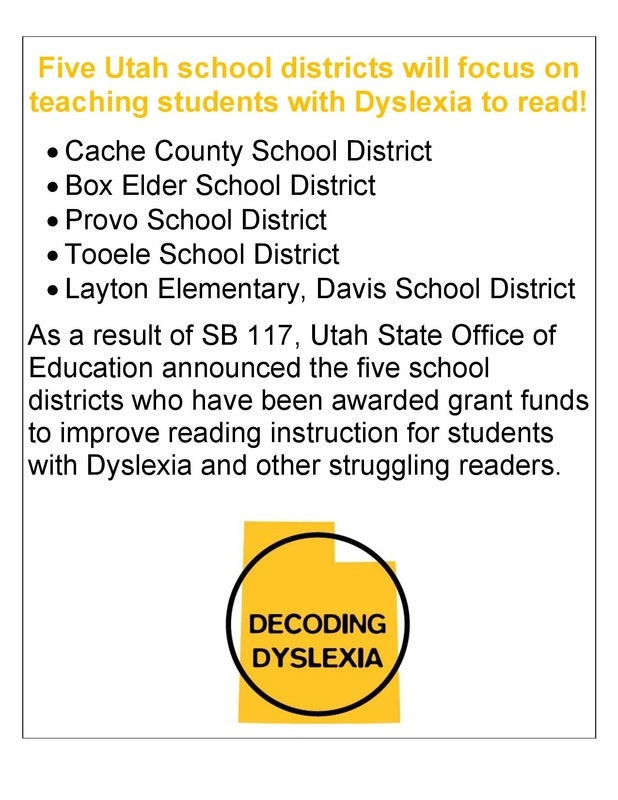 ​Decoding Dyslexia Utah successfully advocated for the Utah State Legislature to pass SB37 Interventions for Reading Difficulties in the 2019 session. This bill will continue and expand SB117 Interventions for Reading Difficulties Pilot Program bill that DDUT lobbied for in 2015. 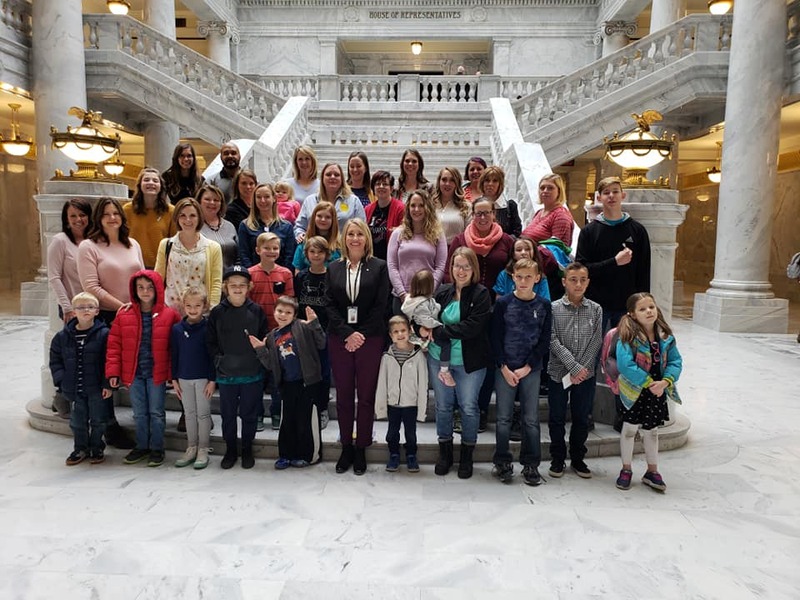 This bill provides grant funding for LEA's to implement reading intervention programs to help all struggling readers including students with dyslexia in Utah public schools. 10-15 LEA's will receive this grant for up to 5 schools per LEA and a total of up to $30,000 per school. Tier 2 and Tier 3 students that participated in the pilot program made 24% progress in year two of the pilot compared to a state average of 4% progress that year. 2/3 less students in the pilot program were referred to Special Education compared to the state average. District” Letter of Intent) in the subject line. the subject line. The USBE will not consider applications that do not meet the submission deadline. 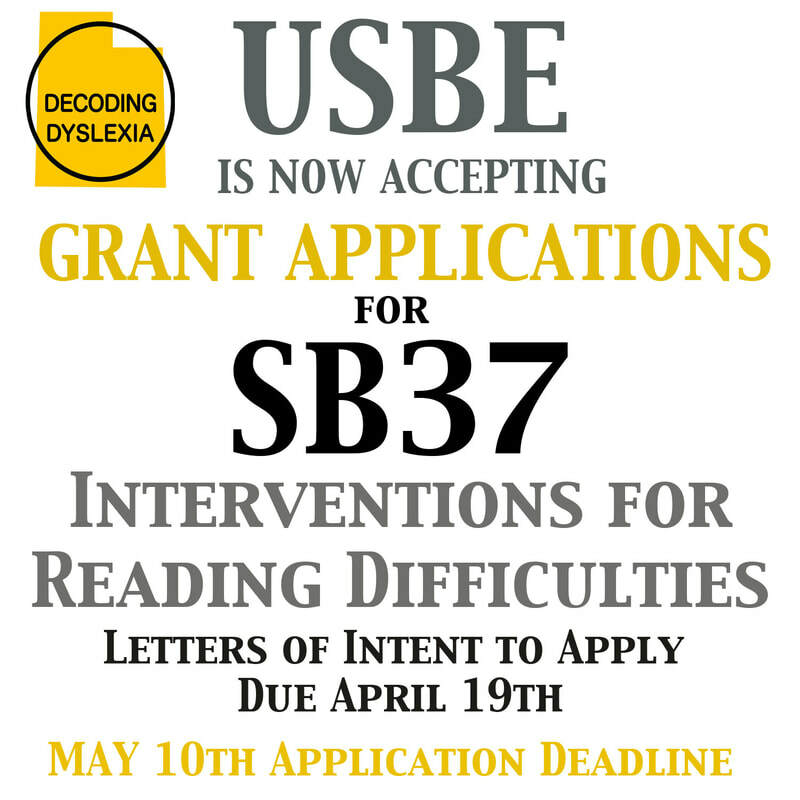 SB 117 Grants for the Dyslexia Pilot programs have been awarded! For the first time in Utah, schools in five school district will focus on teaching students with Dyslexia to read! Utah State Office of Education announced the five school districts who have been award grant funds to improve reading instruction for students with Dyslexia and other struggling readers. Cache County School District receives a $115,000 grant to improve reading instruction for students with Dyslexia. Box Elder School District receives a $60,000 grant to improve reading instruction for students with Dyslexia. Provo School District receives a $60,000 grant to improve reading instruction for students with Dyslexia. Tooele School District receives a $60,000 grant to improve reading instruction for students with Dyslexia. Layton Elementary in Davis School District receives a $30,000 grant to improve reading instruction for students with Dyslexia. The goal of the project is to improve early identification and intervention for students with Dyslexia. Early identification is the key to helping individuals with Dyslexia so they don’t fall too far behind their peers and lose opportunities to learn that only through reading. Children who get off to a poor start in reading rarely catch up on their own. A poor reader in 1st grade will almost invariably stay a poor reader…74% of those children identified in 3rd grade as reading disabled will remain so in the 10th grade without appropriate intervention. Grant funds will be allocated to the school district to provide teacher professional development regarding Dyslexia and to purchase reading interventions that are appropriate for students with Dyslexia. This grant money is a result of a bill ran by Senator Osmond in the 2015 General Legislative Session, S.B. 117 Intervention for Reading Pilot Program. This legislation created a pilot program to provide professional development for educators and literacy interventions to students in kindergarten through grade five who are at risk for or experiencing reading difficulties, including dyslexia. With this pilot program legislation, Utah joined 20 other states have passed or proposed dyslexia-related legislation in 2015. Decoding Dyslexia does not claim credit for all those state moves but one of the organization's biggest priorities has been to mobilize parents in support of regulations that would define dyslexia in state law, require student screening for the reading disorder, and offer dyslexia-specific professional development for teachers.